Be sure to explore all kinds of local and seasonal fruits and veggies. Simply keeping them on hand will make it much easier to follow a healthy diet and avoid the traps of unhealthy fast and processed food options. When you have the food on hand half the battle is already won. The majority of people who make poor food choices and then regret it, most often they do not have food on hand, it gets late, their blood sugar drops and they pull into the quickest place or pop open processed snacks, promising to do it tomorrow. Life can get in the way and tomorrow can be a long road ahead. Preparing ahead by having fresh foods available, makes it much simpler to make it happen. 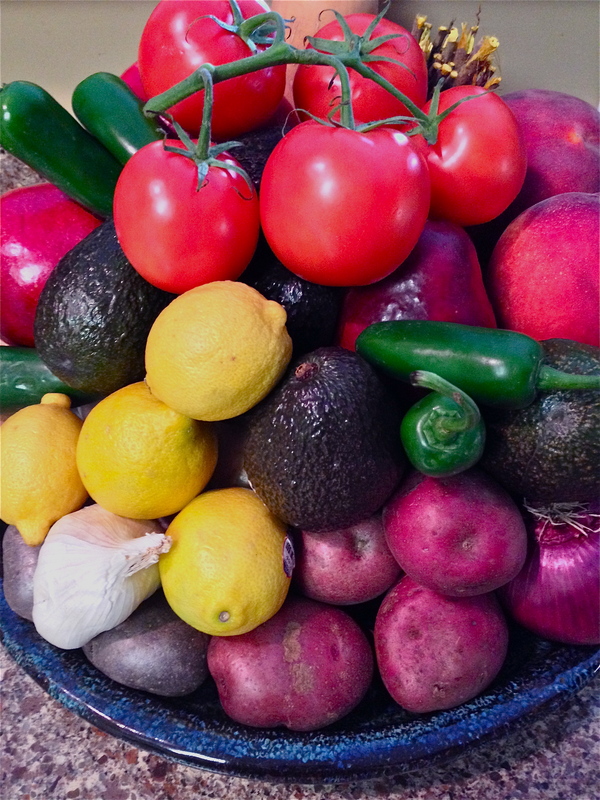 I love to have a large bowl in the Kitchen stocked with delicious fruits and veggies. They look at me daily reminding me to continue to make the healthiest and freshest options. When I do see them it also helps me create fresh, healthy, and delicious meals. You can do it! Go out and invest in your health today and pick up fresh, local, and seasonal fruits and veggies. Your body will definitely be thanking you. You will be glad you did when your energy increases and your health soars.